Avision Robotics, founded in 2014 with offices in the USA and Ukraine, participated in the development of a traffic management system for Unmanned Traffic Management (UTM) drones in a joint project with the US space agency NASA. As the company informed the editorial of AIN.UA, work on the project went on for four years and in February 2019 NASA, and the authorities of the state of Nevada announced that they would launch the system in the city of Reno. 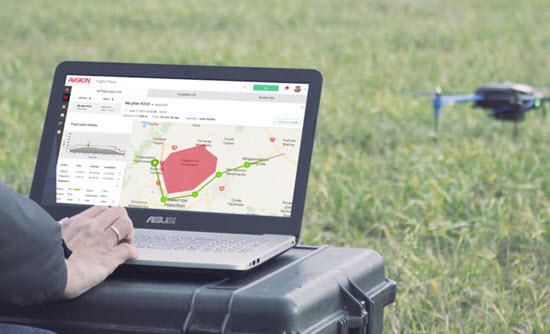 Avision Robotics is developing a SaaS platform for controlling UAVs. It allows drones to fly in the air without collisions, choosing safe routes. In a UTM structure that operates on a nationwide government level, Avision is a certified USS (UAS Service Supplier). The USS system is a service by which commercial operators of UAVs automatically submit information and authorize their flights (this may be delivery by drone, videotaping or video surveillance, rescue operation, etc.). Avision has also developed a web-service and a mobile application that allows commercial and state-owned companies to plan flights, monitor a fleet of drones, and manage a team of pilots/operators. It is integrated with the UTM system and with account of such other parameters: weather, battery charge, other routes in the system, terrain and information about buildings. This application is available in the USA, Russia and Ukraine, it has official data on no-fly zones in the country, so that it can be used to plan and carry out flights according to the rules in force in Ukraine. NASA and Nevada announced the launch of a project introducing a UTM system in the center of Reno this spring. Also, they announced a similar launch in the state of Texas. Avision is working with the implementation of the UTM system in other countries around the world, including projects where it will be the national air traffic control system. But the details of these projects are not reported. The company does not disclose financial data, however, according to its co-founder Oleksandr Mozolyuk, the company is already making a profit. It raised investments, also won the national Vernadsky Challenge. Avision also underwent a 500 Startups program.